The Enclosed Arm Protection is definitely a step up from regular arm bracers. If you need inner and outer forearm and elbow protection, then this is your perfect match. It is made from 18-gauge steel and accented with domed rivets. 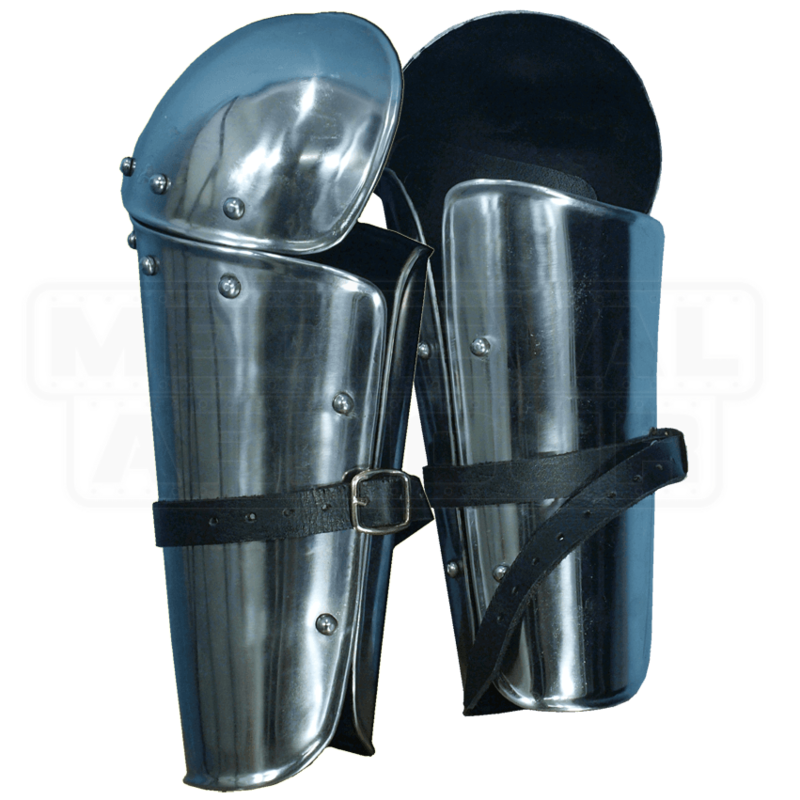 The simple design allows these bracers to be paired with other styles of armour. The arm piece attaches to your forearm, just like a normal arm bracer, with two leather straps. 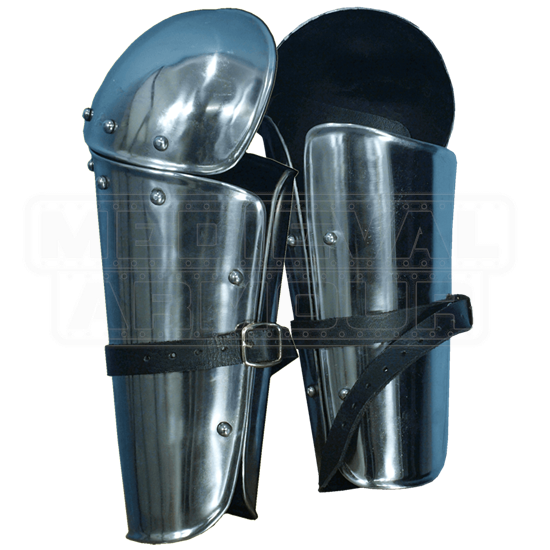 Then you close the articulated steel guard, wrap the outer leather strap around the armour, and buckle it. The two inner straps are hidden once the armour is closed. The attached elbow couters provide extra protection to the joint. Circumference: The smallest forearm this armour will fit is 12 Inches. The armour will go up to any size arm, and there will just be a small gap where the plates close. Keep in mind, if you are wearing a thick gambeson, this will add to your actual arm measurement, so measure with your gambeson on.